The Yankee PW2 Print Washer is a good economy model print washer, made of rugged impact material, that accommodates all print sizes up to 16 x 20". This print washer attaches easily to most sink faucets, and cuts washing time considerably, it also includes a convenient hypo-eliminator hose. 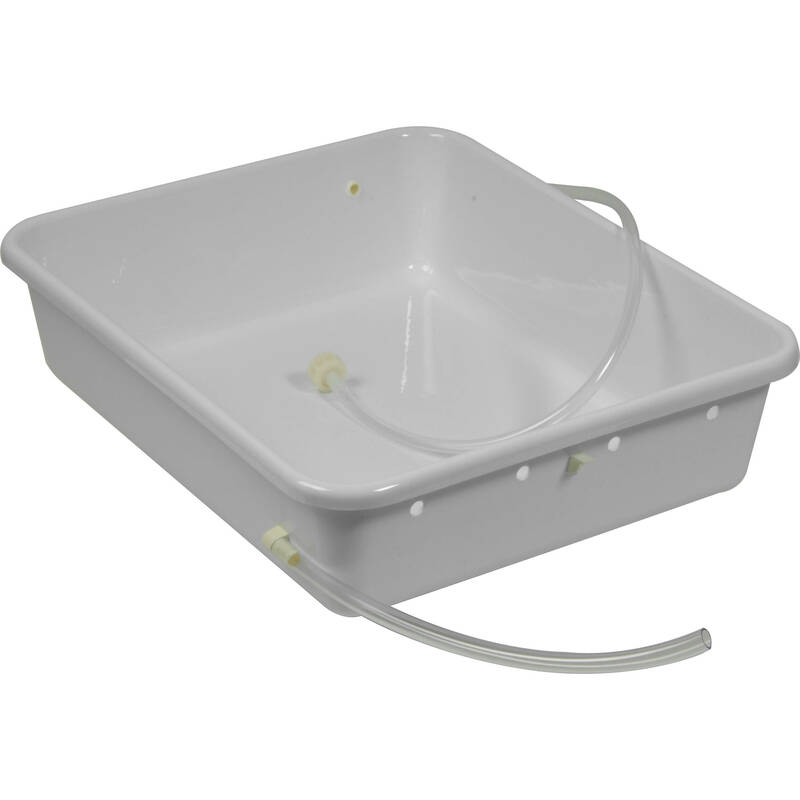 Box Dimensions (LxWxH) 24.1 x 20.25 x 6.1"
Print Washer with Hypo-eliminator Hose is rated 4.3 out of 5 by 4. Rated 5 out of 5 by Summer from Great, simple washer This a huge, simple, and effective print washer. I've used it a few times for printing at home and I've been more than satisfied. However, this washer would NOT be great for you if you don't have both a spigot with a hose screw thread and a drain in the same place, since the hose is the best way to fill this large washer. Overall , this is a good, durable washer that runs a lot cheaper than washers with more complex designs, but you do need a hose thread and a tub or large sink to allow drainage. Rated 4 out of 5 by Fan from suggest Method of use is not very understand, hope to be able to with manual or diagram. Rated 5 out of 5 by nikolay from Print Washer that is cheap and it works Best thing about this is the price. Quality is OK considering low price.